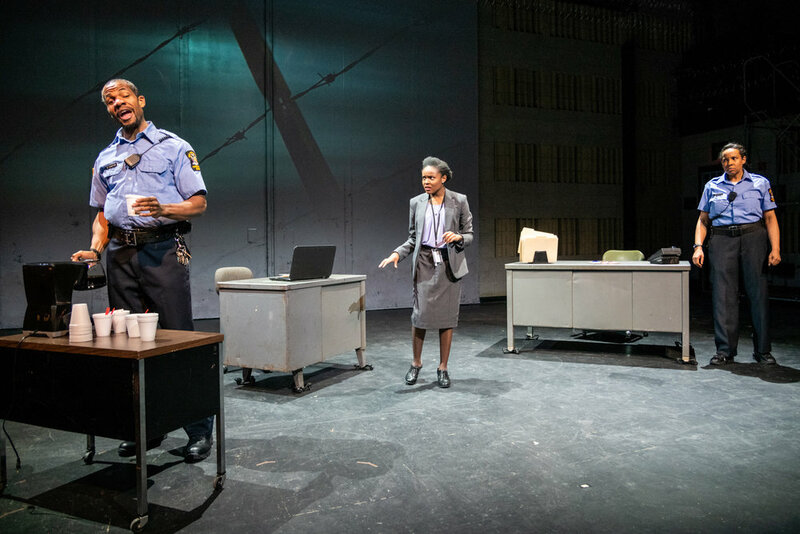 FIDELIO premiered at Baruch Performing Arts Center in May of 2018 as a part of Heartbeat’s Spring Festival 2018. 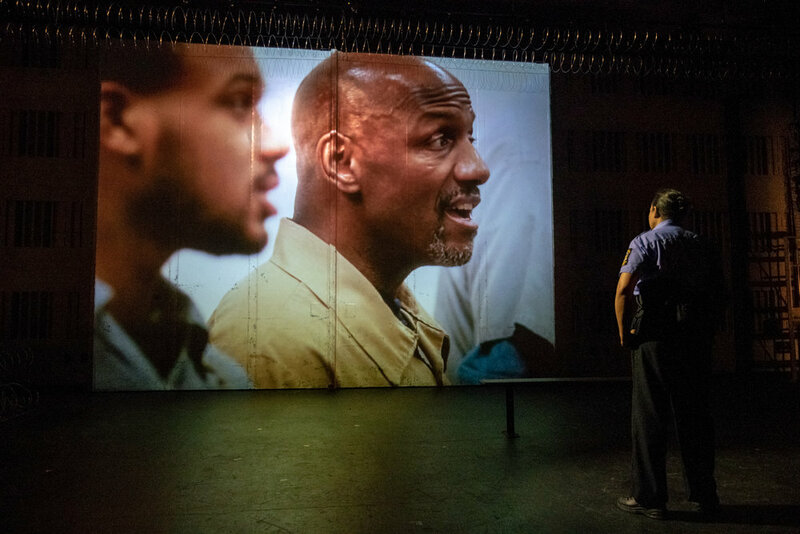 The production was remounted in a semi-staged concert version at Rutgers Presbyterian Church in November of 2018. See more of the Rutgers production here. "Urgent, powerful, and poignant. 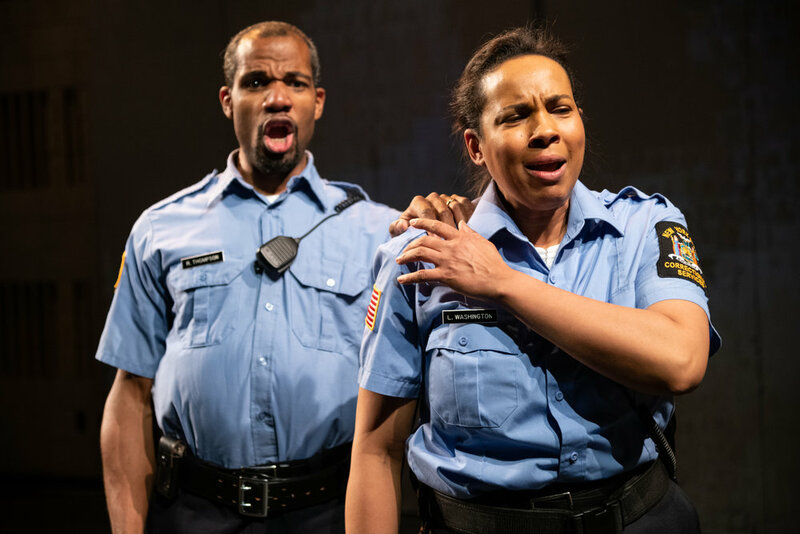 I nearly missed Heartbeat Opera’s “Fidelio” — reorchestrated, reduced and reimagined for the era of Black Lives Matter — and I’m so glad I didn’t." "Imaginative, vital, and heartbreaking. 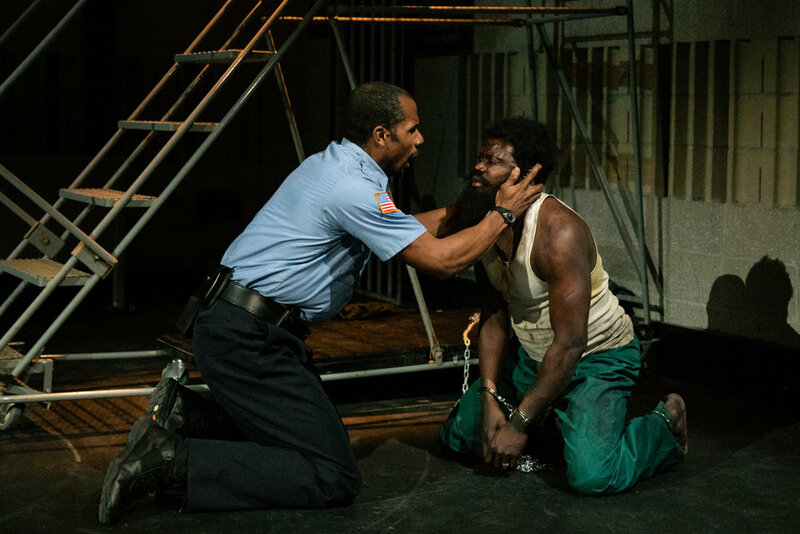 I saw “Fidelio,” and was blindsided by its impact. Leading the cast were Nelson Ebo, grittily affecting as Stan, and Kelly Griffin, giving a confident, full-voiced performance as Leah. 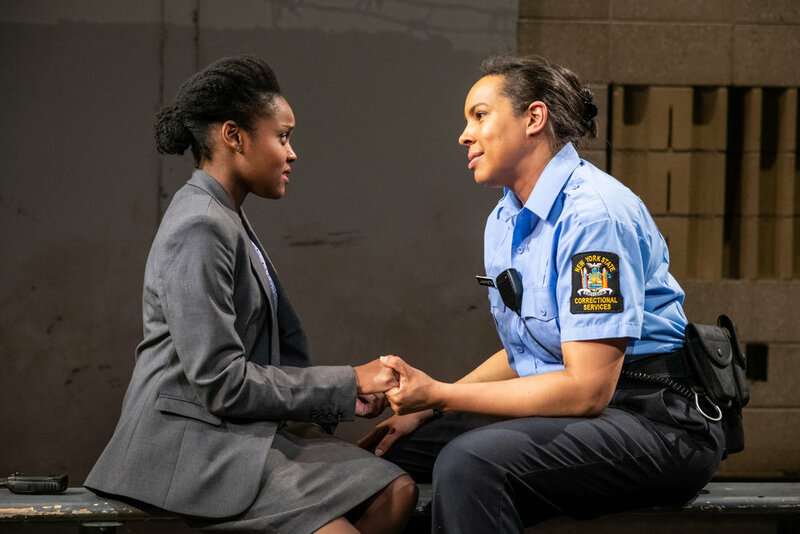 But the heartbreaking centerpiece of the production was the chorus “O welche Lust,” in which the prisoners are allowed to leave their cells." "Stunning, moving, and critically important. Truly brilliant." "Imaginatively deconstructed and reconceived. Thoughtfully adapted and directed. [An] ingenious seven-player arrangement ... [with] artful transitions. 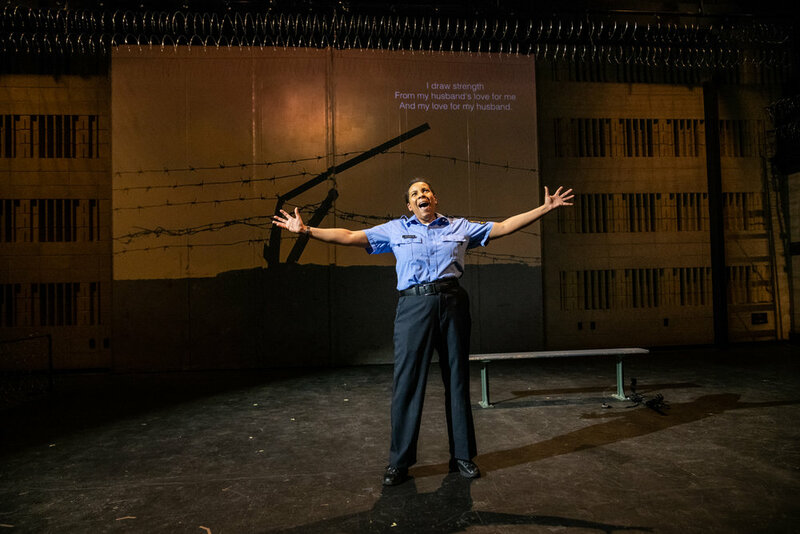 The most powerful scene was the prisoners’ chorus, which was performed by 100 incarcerated men and women and 70 volunteers from six prison choirs. They were seen on pre-recorded video as well as heard, and their amateur but committed music-making brought real life into the theater." "Fearless work that was somehow true to the original yet very current. More successful than the opera's most recent revival at the Met." While Don Giovanni dances at the edge of a precipice, three extraordinary women pursue him, each seeking their own reckoning, pleasure, and liberation. This visceral new production wrestles with Mozart’s elusive masterpiece in our present cultural moment. Featuring the voices of imprisoned people, this daring adaptation of Beethoven's opera pits corruption against courage, hate against hope. Heartbeat Opera friends and supporters enjoyed the unique opportunity to see both DON GIOVANNI and FIDELIO on the same day, with an exclusive dinner between performances. The music of composer and pianist Daniel Schlosberg has been performed by the the Dover Quartet, Cabrillo Festival Orchestra, Buffalo Philharmonic, Amphion Quartet, Aspen Contemporary Ensemble, Antico Moderno, and Lorelei Ensemble, at such venues as Carnegie Hall (New York), Victoria & Albert Museum (London), St. John’s Cathedral (Hong Kong), and Melbourne Recital Centre (Melbourne). Recent work includes the score for a music-theatrical adaptation of Lorca’s Once Five Years Pass at the Williamstown Theatre Festival, and music direction of Brecht’s Caucasian Chalk Circle at the Yale Repertory Theatre, where he premiered a score by David Lang. He cofounded the composer/performer ensemble INVISIBLE ANATOMY, which debuted last spring with concerts in New York City and at the Beijing Modern Music Festival. Schlosberg received a 2014 Charles Ives Scholarship from the American Academy of Arts and Letters and 2014 ASCAP Morton Gould Young Composer Award. He holds a bachelor’s degree from Yale University and a master’s from the Yale School of Music. His work has been described as “witty” by the Wall Street Journal. Marcus Scott is a playwright, musical theater writer and journalist. 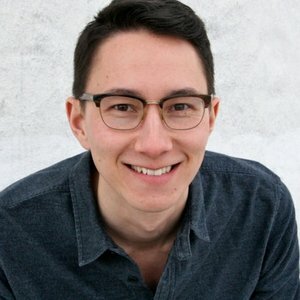 Plays include: Tumbleweed (finalist for the 2017/2018 Humanitas Play LA Workshop, Playwrights Foundation's 2017 Bay Area Playwrights Festival and the 2017 Austin Playhouse Festival of New American Plays; semi-finalist for the 2017/2018 New Dramatists Princess Grace Fellowship Award), Cherry Bomb (recipient of Drama League’s 2017 First Stage Artist In Residence; 2017 finalist for the Yale Institute for Music Theatre), Malaise (2017 DUAF at Cherry Lane Theater), Blood Orange (2018 Downtown Urban Arts Festival at Theater 80 St. Marks), among others. Bass-baritone Derrell Acon is a uniquely accomplished performer whose repertoire ranges from the comic to the tragic and even the sensual. In 2017, Mr. Acon performed the roles of Jake and Jim in NY Harlem Productions' tour of Porgy and Bess, making his debuts at Semperoper Dresden, Hamburgische Staatsoper, Deutsches Theater München, Kölner Philharmonie, Alte Oper Frankfurt, Haifa Congress Center, Tel-Aviv Charles Bronfman Hall, and Teatro Petruzzelli di Bari. In 2018, he debuts as Escamillo in Opera Ithaca's Carmen and as Rocco in Heartbeat Opera's Fidelio. 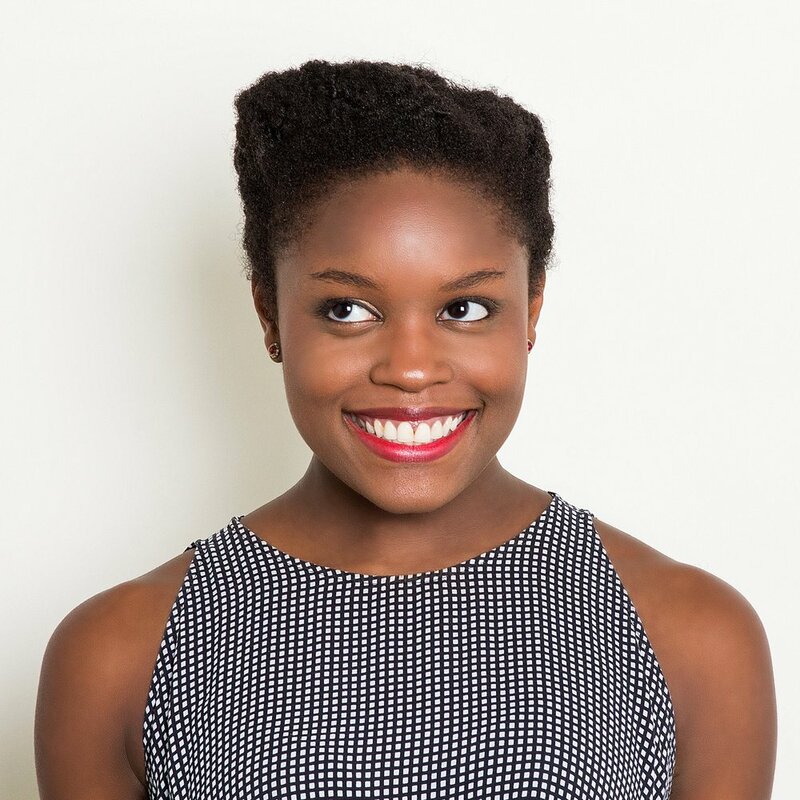 Malorie Casimir, soprano, was recently seen singing George Crumb’s The Winds of Destiny with Jonathan Haas and the percussion ensembles at the Aspen Music Festival, NYU and Juilliard precollege. Recent performances also include the Boy in the table reading of Rufus Wainwright’s new opera, Hadrian with the Aspen Music Festival and Despina in Mannes Opera’s production of Cosi fan tutte. Casimir is a proud native of Brooklyn, NY and holds degrees from The Hartt School in Connecticut and Mannes School of Music in New York. 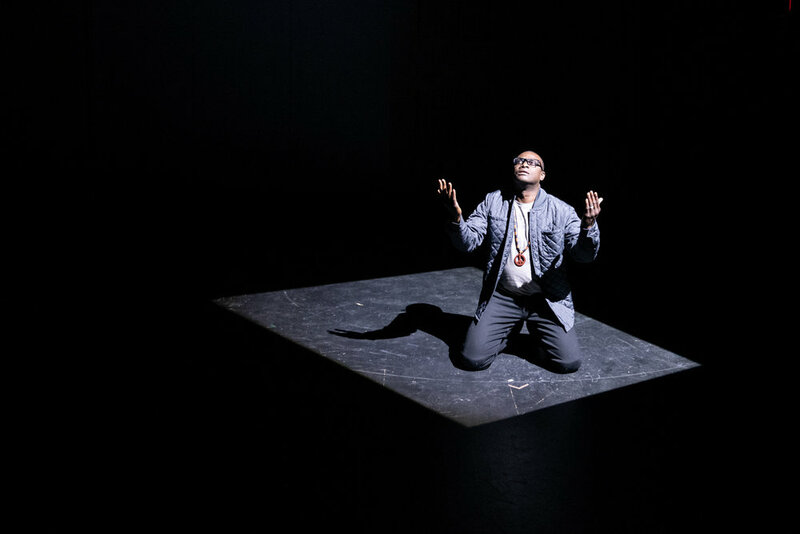 Angolan tenor Nelson Ebo has won multiple awards from the Gerda Lissner Foundation, Giulio Gari Foundation, New Jersey State Opera, and Opera Ebony. 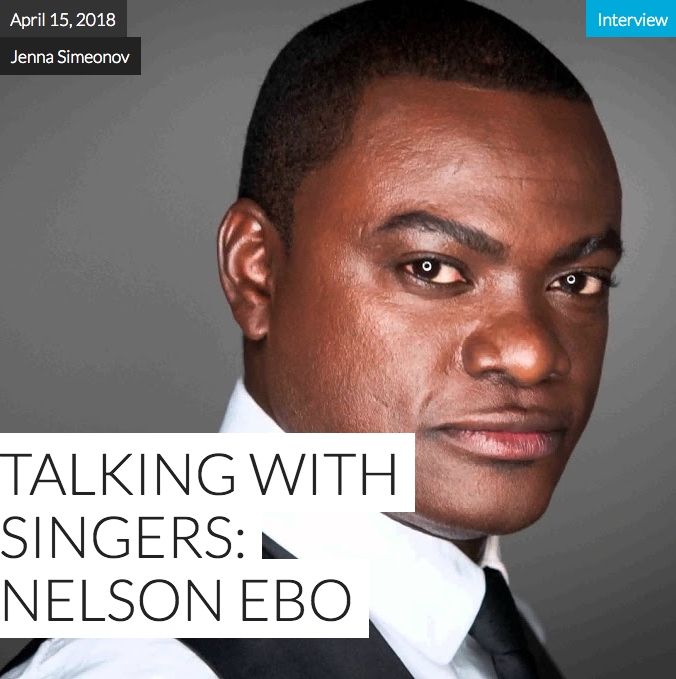 Rising from singing in the chorus at his church in Luanda, Nelson has sung for the King of Spain, Maestro Placido Domingo, and has studied at the Academy of Vocal Arts. Nelson's roles have included Knight Antonius Bloc in the International Brazilian Opera company's contemporary opera "The Seventh Seal", Pollione in Bellini's Norma in both Treviso and Ferrara, Italy, and both Pinkerton in Puccini’s Madame Butterfly and the tenor soloist in Verdi’s Requiem with the Utah Festival Opera Company." Soprano, Kelly Griffin, has been described as “bringing her voice of considerable power and warmth to every role she embodies”. She recently sang her first concert performance of the title role in Verdi's Aida, joined New Amsterdam Opera as Leonora in Verdi's La Forza del Destino, and revisited the great scena of Verdi's Lady Macbeth as part of Salt Marsh Opera's Opera Palooza. Kelly has been featured in concert with the Orlando Philharmonic Orchestra, Miami Symphony Orchestra, and Danbury Symphony Orchestra. This season, in addition to her debut with Heartbeat Opera, Kelly will join Opera in the Heights as Amelia in Verdi's Un Ballo in Maschera. Imaginative, adventurous, and occasionally downright terrifying, audiences have found in Bass-Baritone, Daniel Klein an exciting example of versatility. 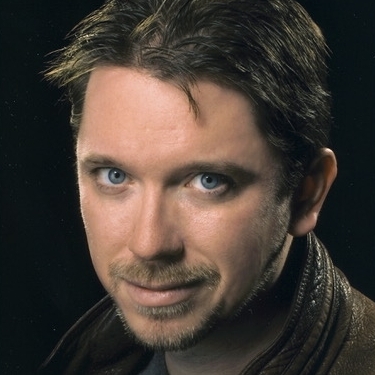 Recent appearances include Marcello in La Boheme with Long Island Opera; Fra Melitone in La Forza del Destino with New Amsterdam Opera; Hyde in the New York Premier of Carlisle Floyd’s The Prince of Players with the Little Opera Theater of New York and the bass soloist in Mozart’s Coronation Mass and Handel's Messiah with Garden State Symphony. Other recent credits include the title role Frank London’s new opera Hatuey: A Memory of Fire at the Sundance Theater Lab, Don Bartolo in Il Barbiere di Siviglia of which the New York Times said he was ‘an unusually dark and steely Bartolo.’ He joined the Altamura/Roundtop Festival as Geronimo in Il Matrimonio Segreto, and returned to Opera Company of Middlebury as Ping in Turandot where he has performed Marcello in La bohème, Rambaldo in La rondine and Mustafà in The Italian Girl in Algiers (L’Italiana in Algeri), Monterone in Annapolis Opera's Rigoletto, Tonio in Opera Providence's Pagliacci, and as the Recluse in Frank London’s Talmudic-Klezmer Oratorio A night in the Old Marketplace in Sao Paulo, Brazil.